Chris and I are having a baby! That’s right! 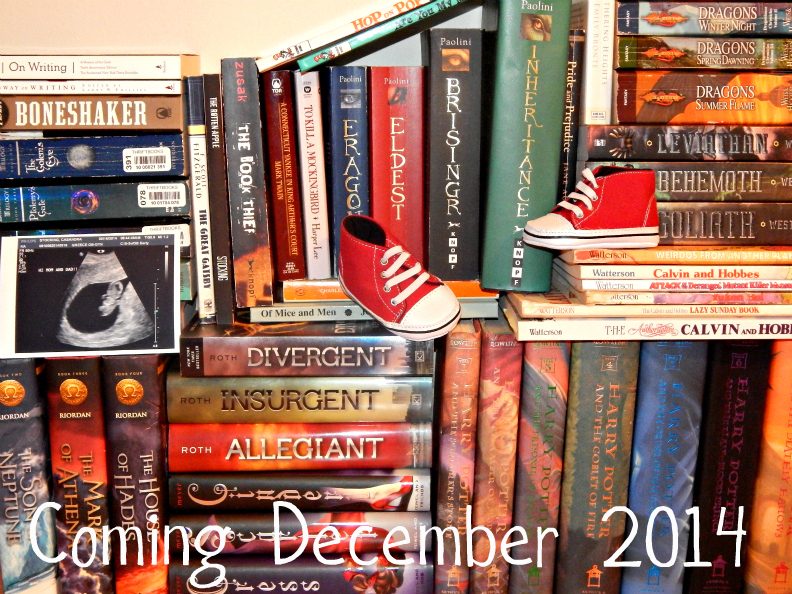 The author and the bibliophile are expecting a little bundle of joy in late December of this year. A lot of my time has been spent researching baby stuff and going to a bazillion doctor’s appointments, so I apologize for not doing much in the way of reviews. I have actually been re-reading a lot of stuff because I often get interrupted or distracted, so it’s nice to already know the plot. Anyway, I will try to post on this blog as much as I can since things have finally started to settle down a little bit, but if you are interested in following my pregnancy and motherhood adventures, you can go over to my other blog http://www.kickmebabyonemoretime.blogspot.com (sorry wordpress!) and catch up on the latest news. 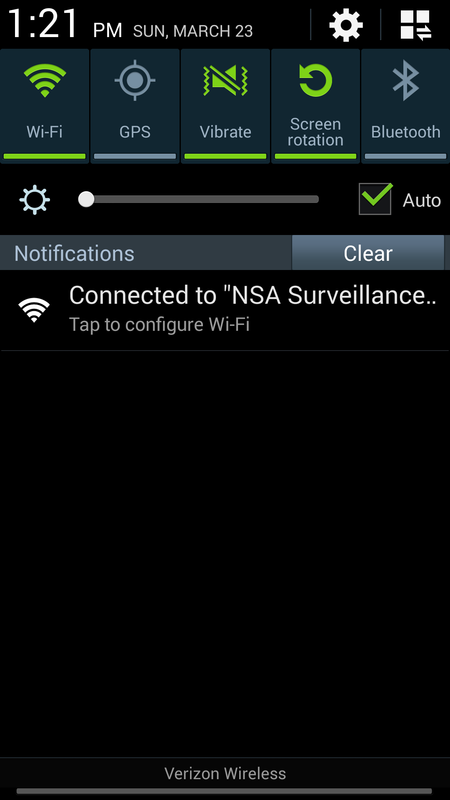 Our wireless network is technically called “NSA Surveillance Van.” Chris thinks he’s funny (he’s right). Most of you know that my husband is a writer. 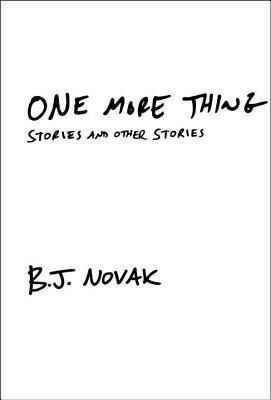 But did you know his newest book was released yesterday?! 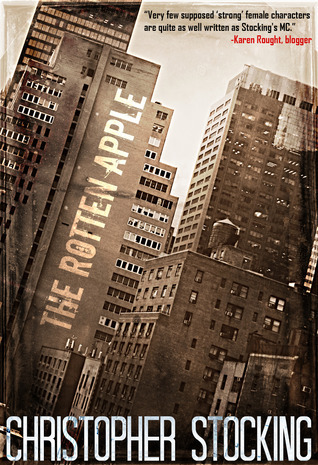 THE ROTTEN APPLE IS NOW AVAILABLE!. If you like 50’s noir crime, then this book is perfect for you. 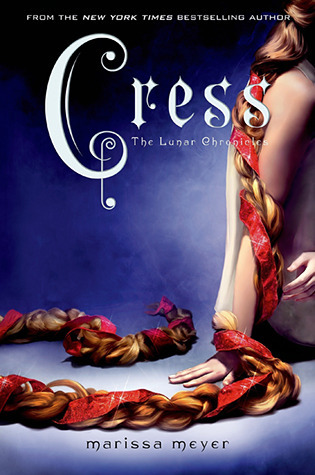 I read it myself and I think it’s awesome! Head over to mentalsweatshop to take a look, and head over to Amazon to pick up a copy! Did you miss me? Of course you did. Unplanned hiatuses aren’t exactly uncommon in the blogosphere, and the reason is always “I have been very busy.” Which is true. I have been busy! Just like all of the other blogging slackers! 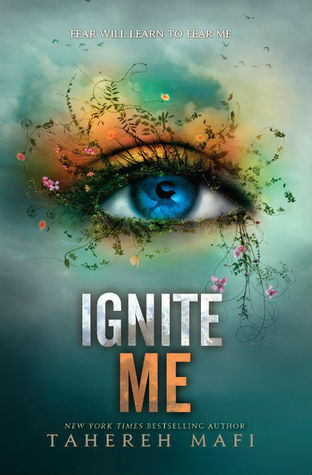 I have been so busy that I have not even made a new goodreads reading challenge for 2014, nor have I even kept track of the books I have read so far this year. ALSO, I started a new job in December. It’s a really good company with some decent benefits and I really like the people I work with. There is a lot of opportunity for growth within the company, which is something I was really looking for in a new job. And it’s full time. Say whhaaaatttt. I know, livin’ the dream. Chris and I also got our own place. I know, I know, we are finally grown ups. We were married people living with a roommate, but no more! Now we are married people that actually get to open up and use all of our wedding presents (which I stashed away for this very occasion) and I have a whole new set of keys to keep track of. To sum up, in the last couple weeks I have really taken strides to join the realm of adults- I got a full time job, my own benefits, and we moved into our own place. I don’t even do laundry at my mom’s house anymore! (Let’s not mention that it’s only because she lives too far away now) It’s official, Chris and I are fully assimilated into adulthood. Wowza. In more depressing news, I have been sick this weekend and my voice has been skipping out on me. It has been very unpredictable. The sucky part is that I am on the phone all day at work, so I really hope my voice comes back full time starting ASAP. I would really like to be up and running as usual tomorrow. Chris has been an angel taking care of me- making me a million cups of tea, keeping track of my medicines and when I am supposed to be taking them, and watching endless romantic comedies with me on Netflix (we just finished Runaway Bride). Needless to say, I picked a real winner. He’s marvelous. Anyway, so ends the Casey update. Thanks for keeping with me, even though I have joined the ranks of the laziest bloggers. You da best. 23, Married, and Happy To Be That Way. 23 Reasons Why You Should Mind Your Own Business. The original post made me angry. 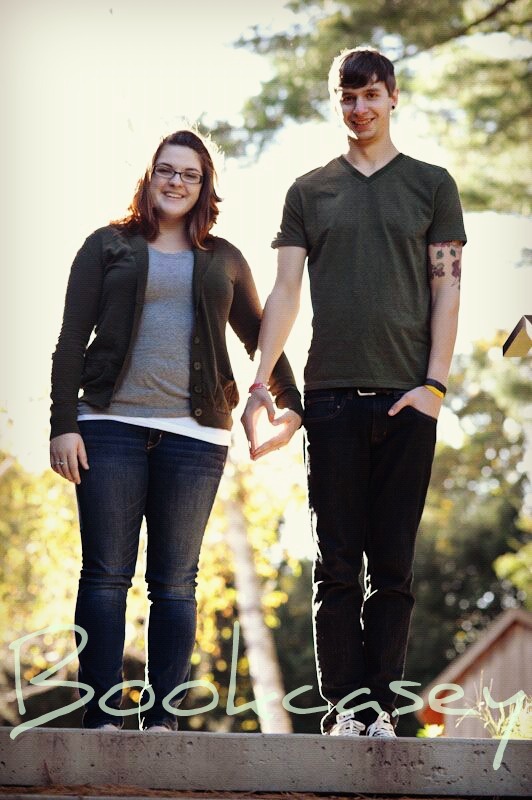 I got married at 21, and I don’t regret it. She’s making a generalization that all 23 year olds are alike. We are not. I am 23 and I have been married for a little over a year now. This girl does not know me, nor does she know every other married or soon-to-be-married 23 year old. We are not the same. The decision to get married was mine to make, and it definitely isn’t the best choice for everyone. But I am an educated, self-sufficient woman, and I can do what I want. I will travel if and when I want to, being married doesn’t change that. Being married means that I will always have someone to do those things with, if I so choose. Chris is not a ball and chain, and I am not one for him either. We are partners. We make decisions together. Some of the things this girl said I should do before I turn 23 are definitely not for me. I have no intention of making out with someone I don’t know or hanging out naked in front of windows. HOWEVER, if I did want to do those things, I would do them. Instead I wanted to get married, and I did that instead. Some people are just ready to get married. Others hang out naked in front of windows. I just wanted to take a moment to say Merry Christmas to all of you lovely people! I hope all of you have a magical Christmas with your families, and if you can’t be with your families, I hope you will be reunited with them soon. This is my favorite time of year (probably because today is also my birthday! ), but this year it really snuck up on me! I think maybe it snuck up on everyone since we celebrated Thanksgiving so late this year. Last year I remember having all of my presents all wrapped up and under the tree with more than a week to spare, and this year I just managed to get everything wrapped and ready before going to bed on Christmas Eve! But that might be because I’ve been busy. Because I got a new job. That’s right– a Christmas miracle! I started at my new job early this month, and I couldn’t be happier. I have stable and consistent hours (full time! ), great benefits for both me and my husband, and my own desk! I like the people I work with and the work I am doing and I am just so happy. Things are starting to look up for us, and it’s a wonderful feeling. So, I hope all of you are feeling just as blessed. From my family to yours- Merry Christmas! This week, my husband and I have been scouring Goodwills and Salvos for books. Why didn’t we think of this before? Why? We have absolutely no idea. 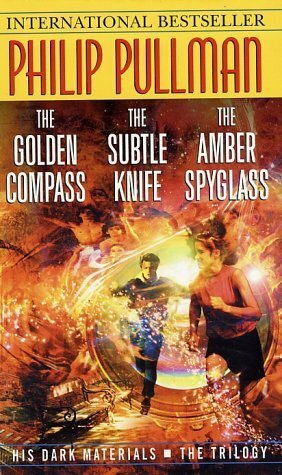 Recently, we have gotten almost 20 books, including a box set of the His Dark Materials trilogy by Philip Pullman, which I have been looking for for a long time! I really don’t know why we have not been looking at thrift shops for books before. We are always on the lookout at yard sales, household sales and bazaars, but those things typically only take place in the summer. We now have two tall bookcases, a short bookcase, a CD tower, three shelves, and four stacks of books that we will someday need to pack up into boxes when we move. Does anyone have a forklift we can borrow? As you guys may have noticed, I have not posted at all this month. But, today is a day of thankfulness, and I am thankful for you. Any and all of you that read this blog: Thank You! My amazing husband, whose ambition is boundless and contagious. Without you I know I would survive (let’s be realistic), but I would be a far less happy version of myself, and I’m thankful every day that I have you. You da best. And for the sweetest nieces, nephew, and little cousin, whose stories I tell and pictures I flash to anyone that will look or listen. I’m also thankful for their awesome parents, and my parents, and the rest of my wonderfully strange family. This has been a good week for me, and for that, I also give thanks. But, I will give extra thanks tomorrow when I finally get to sit at the table with my family and eat all of that deliciousness. With the exception of a pretty awesome birthday party for my 2-year-old cousin yesterday, this weekend has been a bust for me. It all started yesterday morning when I thought I was going to kill my kitten. Chris had to work early, so it was just me. I never feel like making breakfast when it is just me, and so I decided to make some Carnation Instant Breakfast. No big deal, just downing my nutrients in the form of chocolate milk. I went back up to my room (on Saturdays I watch America’s Next Top Model on HuluPlus- don’t you dare judge me) and I went to set my drink on a stand behind my bed so I could get comfortable. Before I could do it, I had a brainblast and decided to put it in the bookshelf so that Buffy (the demon kitten) wouldn’t knock it down. By now you probably know how this story ends. I was watching my show, and I hear a commotion. I was mad before I turned around. I knew. I just knew. That whole cup (I had taken ONE sip) was upside down and there was chocolatey goodness EVERYWHERE. I should also tell you that we recently got a new bed set, and it came with all sorts of pillows and we ended up having around 7 pillows piled up behind our bed because we don’t use that many pillows when we sleep. Who needs to sleep with 9 pillows? Every single one of those pillows got hit. That kitten strategically spilled my breakfast so that it would get on every single pillow. I swear. 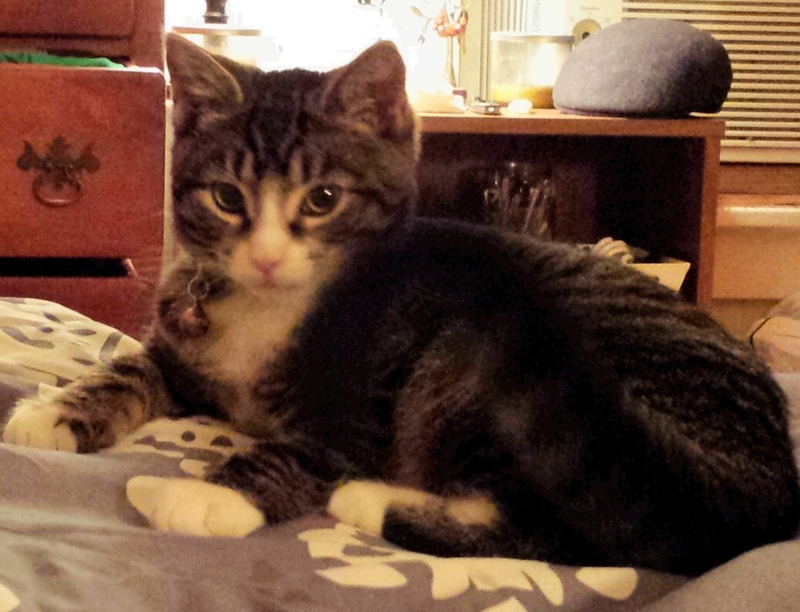 When I realized what happened, I locked eyes on my little demon kitten and she had the common sense to run for her life. CASEY ANGRY. I was literally roaring like Hulk as I ripped the pillow case off of every pillow and threw all the pillows all over the room. To be honest, the rest of my weekend really wasn’t bad. I had to take all of my laundry (which could have waited a day or two if Buffy hadn’t ruined everything) up to my mom’s (I don’t have a washer and dryer and the laundromat isn’t free). I was just hanging out with my madre and watching Superhero Sunday on FX when I got a text. From my boss. I was supposed to be at work 5 minutes ago. My work pants are still in the dryer. So, now I am complaining to you in the hopes that it will serve as some sort of catharsis and I will feel better and be able to laugh about this tomorrow. At least my pillow cases are clean, and my clothes, too. Silver lining? Okay. 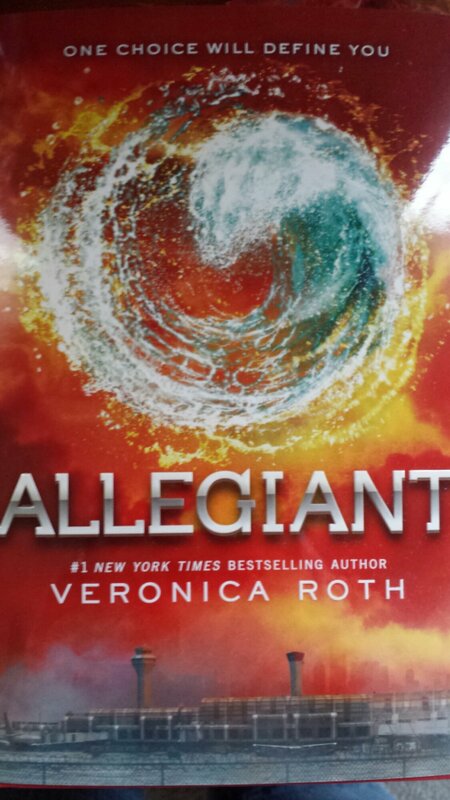 Allegiant came today!! Let the reading commence!